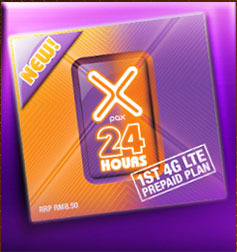 It seem every attractive that Xpax24 is offering free calls and free facebook surfing. But how great is it? Worth or not? Let’s me analyze it for you. Call to all networks (mobile or fixed line in Malaysia) is RM 0.28/ every 3 minutes. SMS to Celcom network cost RM 0.02/sms while to other non Celcom networks cost RM 0.08/sms sent. valid for 1 hour after receive sms confirmation, however must spend before 11.59pm.